That's wonderful that she was officially discharged yesterday!!! Such a wonderful thing to be thankful for!!!!!! We are lucky to have this amazing hospital close by, Tracey, as they truly work miracles every day. A wonderful story and definitely a reason to feel thankful. Oh Tracey, THAT is WONDERFUL news! You definitely have much to be thankful for! We have great hospitals here in Canada and don't have to worry about the costs OR insurances, THANK GOD! 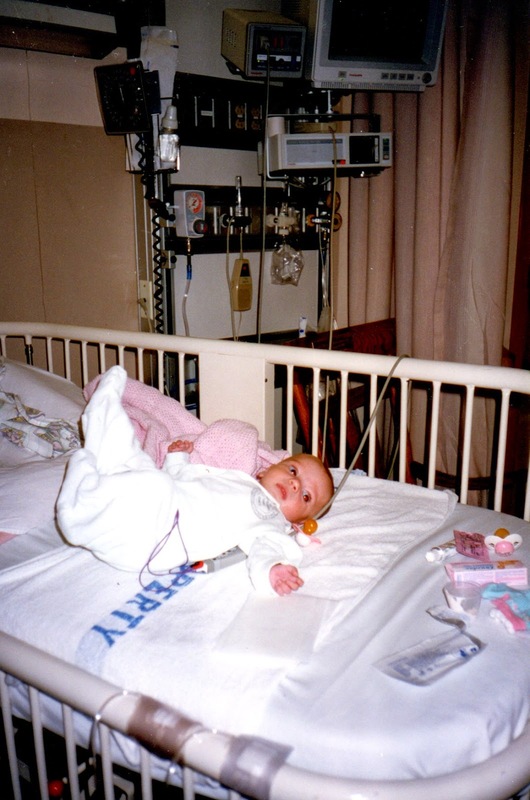 My little girl was born 3 months premature and spent the 1st 2 months of life in hosp. Weighing less than 3 lbs. she had lots of issues. She is now a 32 year old, married jewellery designer with 2 little ones of her own. Life is GOOD! Congrats to you and your family! What a happy day! And what an adorable little Brooklyn - what an amazing thing that they were able to ensure that she grew into the beautiful young woman she is now! Love Sick Kids! How wonderful Tracey, bet the two of you shared a happy dance!! Congrats to Brooklyn on a cleans bill of health!! What a blessing! I'm so happy for all of you!!!! So very happy for you! I can only imagine the roller coaster you were on! Hugs to you all! so glad to hear your daughter is officially discharged. God is good.. I am listening to Christmas music and reading your blog....How awesome to have your daughter officially discharged! Made me cry...and I am so happy for all of you! So happy for you, Brooklyn and your entire family. What a wonderful miracle and the best thing to be thankful for. What a wonderful thing to be thankful for and congratulations on your daughter's successful treatment! Good health is everything, isn't it?! Such a blessing to have your daughter discharged! That is truly something to be thankful for. Congratulating on the good news. I had no idea that Brooklyn had a history of cardiac problems...how wonderful that she is finally discharged from care! Congrats to her!!! My hopes and prayers are that she lives a very long and healthy life!!! What a wonderful blessing you have in Brooklyn and in the incredible doctors and nurses that worked so hard for her. 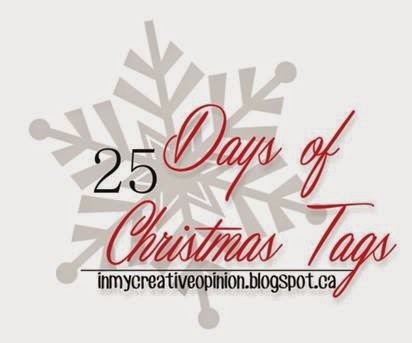 Thank you so much for all your wonderful tag inspiration this year. I was never a tag maker before but now that has changed...thank you so much. God bless you and your family! What a great reason to be thankful for and celebrate! So thankful to hear such happy news about your daughter! Oh, that is fantastic. What wonderful news. Truly a gift to be thankful for. You DO have a lot to be thankful for, and I'm so happy for you and your family receiving such wonderful news! Oh what a wonderful day to be thankful!! I am so happy for your family Tracey! What an amazing story and such happy news that your daughter has been officially discharged. I have goosebumps :) Hugs my friend! Wow, what a lot you have been through and how wonderful that your daughter has been discharged. So happy for you all! It must be such a relief to finally be off that roller coaster ride of worry!!! Fabulous news! So happy for all of you. Hugs! So glad to hear about your daughter. They really do an amazing job at Sick Kids. Much to be thankful for! I'm SOOOOO happy for the great news that your family has received! I love the photo of Brooklyn - she's just as sweet as her mama! Truly news to be thankful for! So happy to hear that all is well with Brooklyn now. Prayers have been answered. Blessings to you all, Tracey. Thanks for sharing such a wonderful news! So happy for you and your family. Hugs! You must be so relieved and I can imagine extremely thankful that your daughter has a clean bill of health. I'm sitting here typing while listening to Max (8yrs) coughing his lungs out with croup. He was born 5 wks early on purpose (was causing me problems) but unfortunately his lungs were far from ready and both of them developed holes. He too was very, very sick but the hospital was wonderful and we all nursed him back to health. I'm hoping by the time he is 17yrs old, that his lungs will have grown stronger and he too will be free from doctors visits. So I too am very thankful he is here. Feel I must go give him a hug right now!! This is wonderful news Tracey! TFS !i am so happy for Brooklyn and you (family) . What a sweet picture,and I bet you are wondering where the time went. What an awesome news! Indeed something to be thankful for. That is wonderful news. It sounds like a great hospital. Hugs! Incredibly wonderful news; your Brooklyn is a miracle!